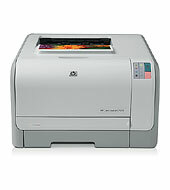 Easily produce high-quality color output fast with the HP most affordable color LaserJet ever! Watch your business documents shine with the vibrant color of HP ColorSphere toner. Rely on its convenient print features to make your job easier.